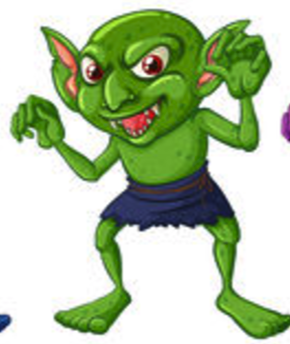 Your team must work as detectives to find out where the shrinkinator is to shrink the giant goblin!! Find the page with the list of possible locations. ​The last row remaining will tell you where the shrinkinator is! Watch the video and use this knowledge to solve the first clue! ​Watch the video and use this knowledge to solve the second clue!